Enable-SPFeature -Identity assisted-password-reset -Url "http://mimportal.my.domain/IdentityManagement"
When visiting the User Edit/View page, you should now have a link to the password reset page. Individual operators must have password reset and unlock account rights in Active Directory for this module to work correctly. 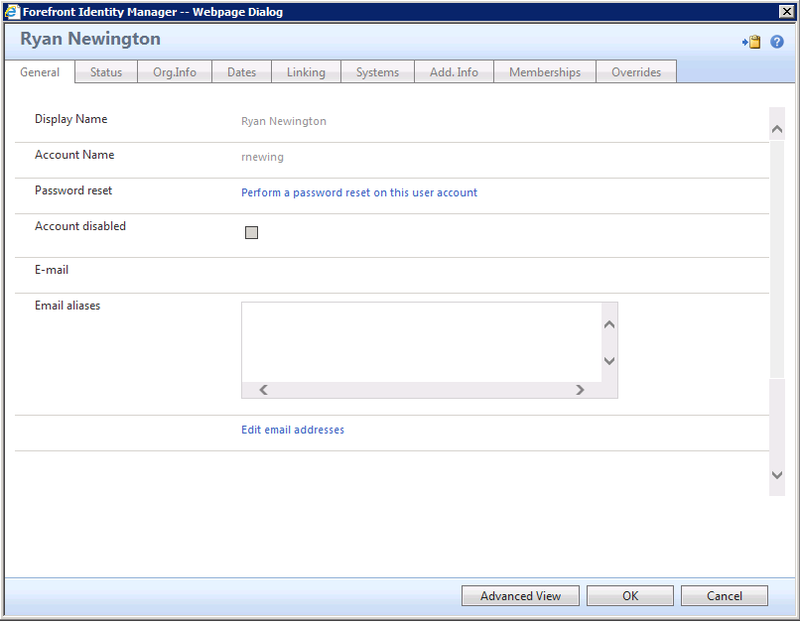 Password reset operations are sent directly to the Active Directory. MIM itself does not participate in the password reset process. 7. Customize the module (optional). The Configuration file reference provides details on how you can modify settings such as the length of the generated password and the attributes that are displayed in the user interface. If you have Kerberos correctly configured in your MIM portal environment, you can avoid the operator getting a credential prompt by configuring Kerberos delegation.